New Studies Published by Oregon State University Professor Confirm Safety of Home Birth With Midwives in the U.S. 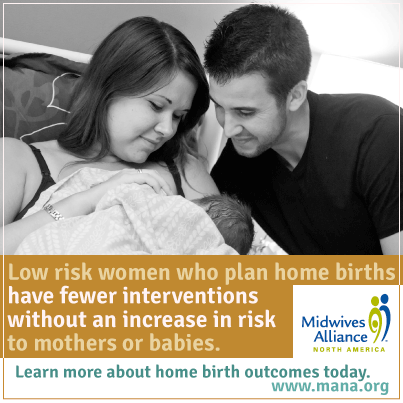 In today’s peer-reviewed Journal of Midwifery & Women’s Health (JMWH), a landmark study confirms that among low-risk women, planned home births result in low rates of interventions without an increase in adverse outcomes for mothers and babies. 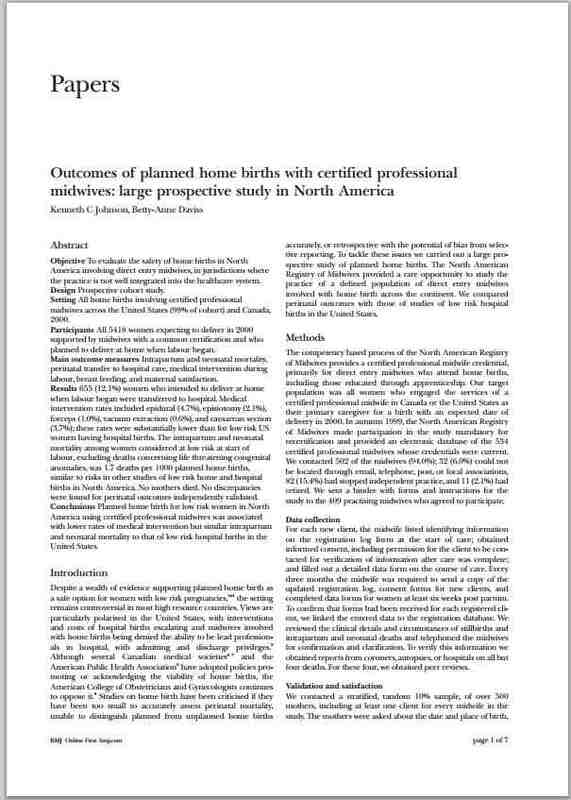 This study, which examines nearly 17,000 courses of midwife-led care, is the largest analysis of planned home birth in the U.S. ever published. The results of this study, and those of its companion article about the development of the MANA Stats registry, confirm the safety and overwhelmingly positive health benefits for low-risk mothers and babies who choose to birth at home with a midwife. At every step of the way, midwives are providing excellent care. This study enables families, providers and policymakers to have a transparent look at the risks and benefits of planned home birth as well as the health benefits of normal physiologic birth. Of particular note is a cesarean rate of 5.2%, a remarkably low rate when compared to the U.S. national average of 31% for full-term pregnancies. When we consider the well-known health consequences of a cesarean — not to mention the exponentially higher costs — this study brings a fresh reminder of the benefits of midwife-led care outside of our overburdened hospital system. Home birth mothers had much lower rates of interventions in labor. While some interventions are necessary for the safety and health of the mother or baby, many are overused, are lacking scientific evidence of benefit, and even carry their own risks. Cautious and judicious use of intervention results in healthier outcomes and easier recovery, and this is an area in which midwives excel. Women who planned a home birth had fewer episiotomies, pitocin for labor augmentation, and epidurals. Research & more information of interest to mothers planning a home birth in Corvallis or Oregon’s Willamette Valley. Home birth in Corvallis & Oregon’s Willamette Valley is safe, modern care that reduces the risk of interventions. 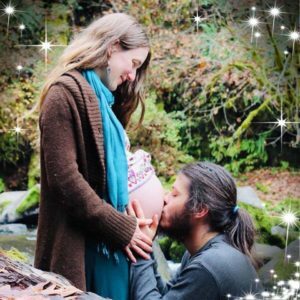 Looking for more information about home birth in Corvallis or in Oregon’s Willamette Valley? Talk to a midwife today and get your questions answered.